Cling: The power of close attraction. In electrical fields, it is magnetic attraction. In material systems, it is the power of adherence. 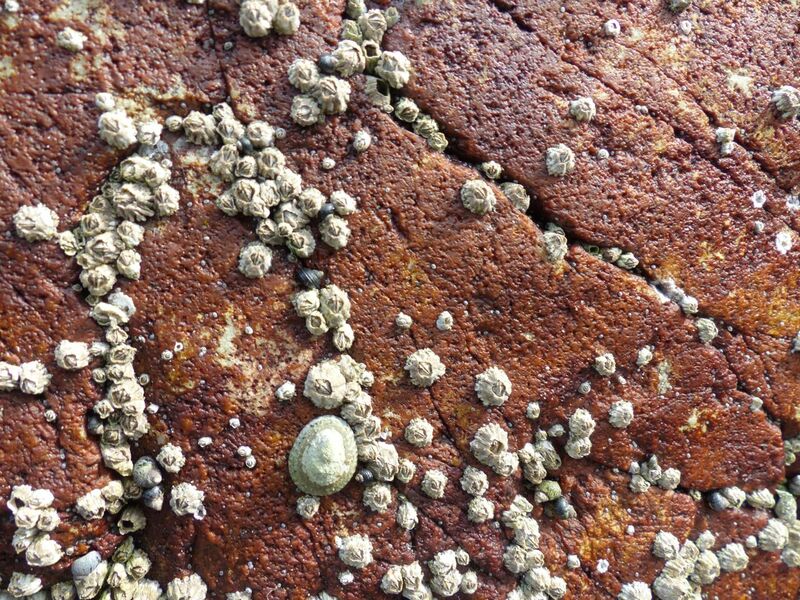 Stone is a particularly pregnant location for other materials to be bound by clinging energy, from shells that cling to rocks in the tidal zone, to a man clinging to the face of a cliff, to the flesh of a clingstone peach to adhere to its pit. Cling is the power of unexpected, essential or invisible unity, including the power of stone to retain a sense of unity across breaks and chasms. The unity can be intentionally broken with grooves, glyphs and clefts that separate adhering stone from itself in such a way that the space of absent stone becomes part of the stone. In all cases, neither party in a clinging relationship is initiating the clinging; they enter it from their essential natures. Even a woman clinging to a cliff-edge is acting within the complementary natures of cliff and woman. Clinging is often faster than thought.